Approximately 1750 Aircraft including fighters,transport and helicopters. 2 Aircraft Carriers,11 Destroyers,15 Frigates. 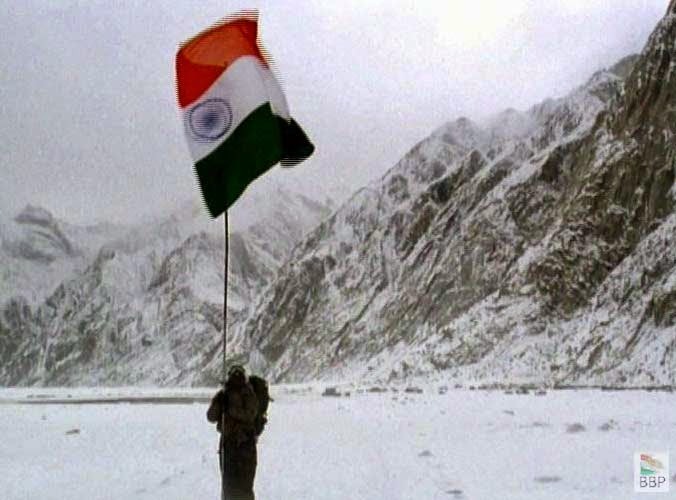 The 4th largest standing army in the world.Fights on Land,Sea and Air.Fights in the frigid arctic conditions of Siachen(AVERAGE TEMPERATURE -50 C).The Thar in Rajasthan(Average temp +50 C),on the turbulent Bay of Bengal,the salty Rann of Kutch. In fair weather or foul. Its said that statistics do not lie.Maybe.But sometimes they do not tell the whole story. When floods threaten the population,call in the Army. When a Cyclone or Tsunami hits,call in the Army. When there is civil unrest,religious or otherwise,call in the Army. Probably the most disciplined fighting force in the World.Defends the Nation's borders,defends the internal security across environments that would challenge the most advanced fighters globally. The one true Indian institution that has stood above religious and caste considerations.Never have so many sacrificed so much for so little return.The pure naked courage under fire and the attitude of persevering in the face of overwhelming odds has been in evidence right from the World War I in the trenches of France or the sahara in Egypt right down to Afghanisthan,Arunachal or Kargil are too well documented. Off all the nationistic things that is expected from the new Government I feel that 2 years of military service should be made mandatory for every teen in India. As I have mentioned in earlier blogs I had the time at one point to work closely with some military personnel at the Eastern frontier and then in New Delhi.The lack of proper snow shoes,goggles,modern webbing and weaponry is shocking.Packed rations,especially for high altitude fighters is the most felt for need that I saw. Ask any Indian and the one place that 90% feel is truly representative of the people is the - Indian Army. Is 25 bips Repo Rate Cut Enough?